Showers early, becoming a steady rain later in the day. High 64F. Winds NNE at 5 to 10 mph. Chance of rain 60%. Rainfall near a quarter of an inch.. Rain showers early with mostly clear conditions later at night. Low near 50F. Winds NNW at 10 to 20 mph. Chance of rain 40%. The 26th annual Dining Out for Life fundraiser hosted by St. Louis Effort for AIDS will take place all day on Thursday, May 2. More than 100 restaurants across St. Louis will participate in the campaign by donating at least 25 percent of their proceeds for the day to help those in the St. Louis area who suffer from HIV. “Over 6,000 people in St. Louis are living with HIV, and currently only half are in care, so we’ve got a big gap to fill,” said St. Louis Effort for AIDS Director of Development James Lesch. 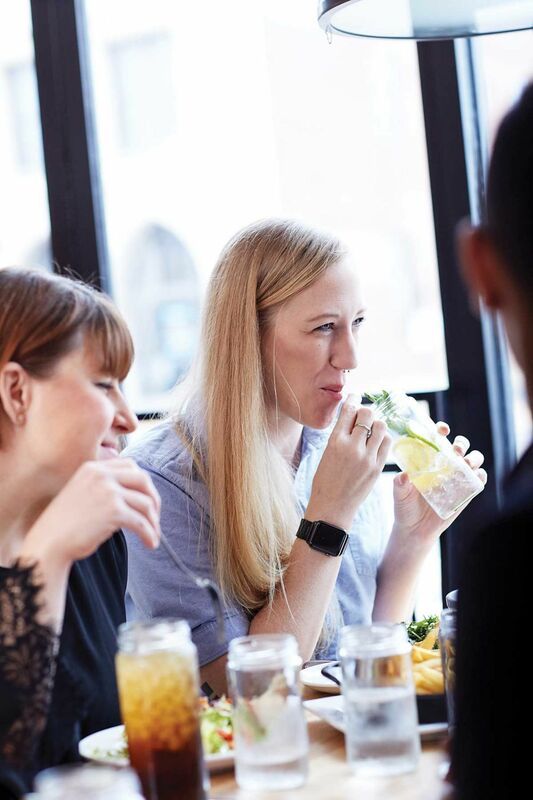 Dining Out for Life (DOFL) is an annual event that has raised millions of dollars for community-based organizations serving people living with HIV. The international event takes place in cities across the continent, but money raised in each city stays within their respective local organization. St. Louis’s participation in Dining Out for Life is coordinated by St. Louis Effort for AIDS (SLEFA). Proceeds will benefit SLEFA, the oldest and longest-serving AIDS service organization in the St. Louis metropolitan area. Its goal is to provide education on the prevention of AIDS and to offer support services for those affected. Last year, on the 25th anniversary of Dining Out for Life in St. Louis, nearly $150,000 was raised for SLEFA in just one day. The accomplishment earned SLEFA the 2018 Dining Out for Life International Impact Grand Prize Award, and made St. Louis the feature of this year’s Dining Out for Life marketing campaign. The honor included showcasing all of the wonderful food the city has to offer. At a national level, Dining Out for Life raises over $4 million each year toward education and support services for those affected by HIV/AIDS. These funds have enabled the local organization to expand into a location able to offer an on-site medical clinic and pharmacy. All of these vital resources that St. Louis Effort for AIDS can offer the community are made possible in part by St. Louis residents who choose to serve or enjoy a great meal for a great cause during Dining Out for Life. The fundraiser has quickly grown from what started as a dinner party in someone’s home to a city-wide event with hundreds of participating restaurants. To support the cause, simply eat out at any restaurant, coffee shop or bar listed on the organization’s website (www.diningoutforlife.com/city/stl) on Thursday, May 2, and part of the bill will be donated by the establishment. Those not able to join in can donate to St. Louis Effort for AIDS at www.stlefa.org. Restaurant owners eager to get their business involved should contact James Lesch at james.lesch@stlefa.org.